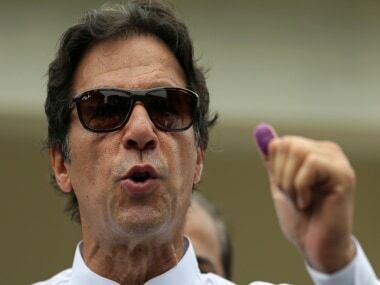 21:18 pm: Cricketer-turned politician Imran Khan and former prime minister Nawaz Sharif were leading tonight as the counting of votes progressed in Pakistan's landmark general elections which would see first smooth transition of power in the country's 66-year history. 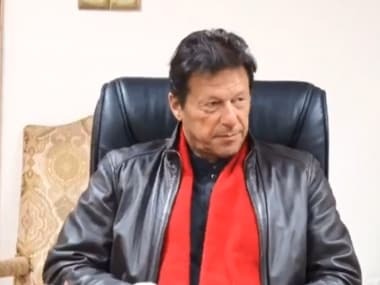 Pakistan Tehreek-e-Insaf chief Khan was leading in Peshawar, Lahore, Rawalpindi, and Mianwali as initial results started pouring in after counting of votes began this evening. PML-N president Nawaz Sharif is leading in Sargodha, while his brother Shahbaz Sharif was ahead of his rivals, Geo TV reported. The Election Commission of Pakistan has admitted that it has been unable to hold free and fair elections in Karachi and there might have been rigging. In a statement, the commission admitted it had failed to hold free and fair elections in the city, reports Dawn. ECP took notice of parties’ concerns and promised to bring the truth in light, reported Express News. We promised free elections, said Secretary Election Commission Ishtiaq Ahmed was quoted as saying, adding that no polling was better than rigging. ballot, the presidential spokesman has said. Zardari cast his vote by postal ballot in the southern port city of Karachi, spokesman Farhatullah Babar said yesterday. Over 86 million Pakistanis are registered to vote in today's general election. Members of the armed forces and government officials are allowed to vote by postal ballot. More reports of bombs going off. This time it was a bomb placed on a bus in Karachi that police are saying killed at least two people, according to Dawn. Karachi appears to be the hardest hit so far. Allegations of vote rigging and ballot delays have not helped the situation either. The Jamaat-i-Islami held a press conference to announce that they were boycotting the elections as a protest after claiming their supporters were threatened in several constituencies in Karachi and Hyderabad, Dawn reports. Syed Munawar Hasan, the party head, accused the MQM of being complicit in the attempts to scare off the party's supporters. “Even in Hyderabad, our workers were beaten with weapons and pushed out of the polling stations in two constituencies,” Hasan said. The Muttahida Qaumi Movement (MQM) held an emergency press conference to claim that vote rigging was taking place, the Daily Tribune reports. The issue concerns ballot papers, which have reached polling stations late. MQM deputy convener, Dr Farooq Sattar, pointed the finger at the army and rangers, who he said appeared to be unable to prevent polling delays. “This is the opposite [of] free, fair and transparent elections,” he said. How can Pak's largest and richest city, Karachi, not allow polls to open in its richest constituency, NA250, for hours? PTI claims murder! At least 20 people have been injured in Sukkur district as clashes between voters of rival candidates have turned violent, according to Dawn. Voting was stopped at three polling stations in Thull and the army has been dispatched to Karampur district after one person died and seven were injured in a fight between rival groups. Jenni Mathews, an AFP news editor, says that in North Waziristan women have been stopped from voting after an announcement was made on a mosque loudspeaker. According to AFP, "in North Waziristan, many women live in purdah, confined to women-only quarters at home and prevented from leaving the premises without a male relative". 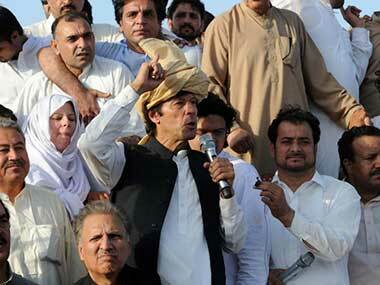 There are also reports that in Lower Dir, a group of Tribe elders has decided that women will not be allowed to vote. It is not all bad news for women though. It is not just militants that are responsible for violence as Pakistan votes today. A number of reports have emerged of firing at polling station between rival parties and candidates. The latest incident, according to Dawn, is an "exchange of fire between the supporters of rival independent candidates in Charsadda". The exchange injured five people and polling has been suspended in the area. There were also two different blasts in Balochistan's Naseerabad district that killed one and injured at least seven, also according to Dawn. The police said that a remote-controlled device was used in one of the elections while the other was caused by a landmine that injured four people. Both attacks appeared to target voters after casting their votes. — Seats: 342 total. Of those 60 are specifically reserved for women and 10 for non-Muslim minorities. — Security: 600,000 security force personnel expected to be deployed during the election. — Polls open at 8 a.m. (0300 GMT / 11 p.m. Friday) and close by 5 p.m (1200 GMT and 8 a.m. EST). According to Mike Edwards, the South Asia correspondent for the Australian Broadcasting Company, the death toll in the Karachi blasts has climbed to 11. There have also been reports of polling delays from several areas across Pakistan and Dawn reports that an MQM supporter was killed while a second person was injured in Nawabshah after firing took place at a polling station. Meanwhile the Pakistan Election Commission has said polling will be extended at those stations where delays have taken place for genuine reasons. Dawn also says that a blast was heard near Bannu, followed by gunfire. Pakistan newspaper Dawn reports that women have been prevented from voting in a few places. According to the newspaper's website, "women were not allowed to cast cote in village 111/9-L, Jahan Khan, District Sahiwal by their male counterparts while elections at a women’s polling station were stopped in Peshawar’s PK-8 constituency". Pakistanis streamed to the polls Saturday to vote in a historic election pitting a cricket star-turned-politician against an unpopular incumbent and a two-time prime minister, but twin bombings killing nine people and wounding dozens underlined the dangers voters face. The blasts in the port city of Karachi targeted the political offices of the Awami National Party, one of three secular liberal parties that have been targeted by Taliban militants during the run-up to the election, said police officer Shabir Hussain. More than 130 people were killed in bombings and shootings ahead of Saturday’s historic vote in what many observers have called Pakistan’s most deadly election. 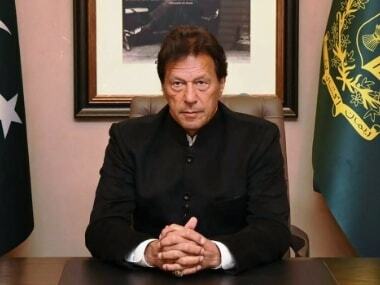 A poll released this week by a Pakistani political magazine, Herald, showed the two parties led by Sharif and Khan as basically tied, with about 25 percent support each. The Pakistan People’s Party was third with about 18 percent. The margin of error was less than three percentage points. But national polls like this do not necessarily reflect election results because seats are granted to whoever gets the most votes per constituency, rather than proportionally across the parties.